S3 Dental has a wide range of orthodontic options available to patients, with our focus primarily on adult orthodontics to correct the alignment of the front teeth. We offer visible and invisible braces such as Six Month Smiles, ClearCorrect and Invisalign. These orthodontic systems have slight differences but ultimately provide great looking results. 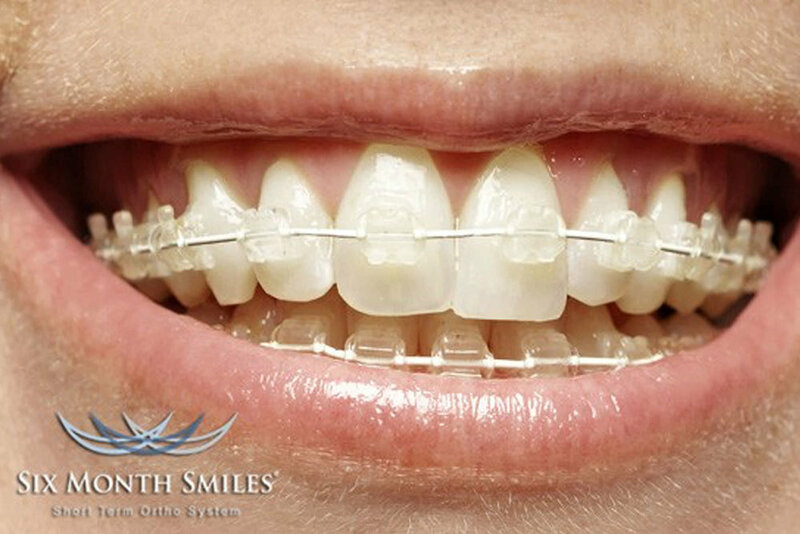 Six Month smiles is our most popular fixed brace option which is similar to traditional braces but instead of metal braces, you have tooth coloured braces and wires. As the name suggests the target timeframe for straightening the teeth is 6 months. Invisalign or ClearCorrect are regarded as the Invisible or Clear brace system which involves a series of thing clear mouthguards called aligners. They are removable for eating and cleaning but if worn at all other times can provide stunning results. Your dentist can discuss the option that is best for you and we offer great finance plans for patients making the braces as affordable as £2 per day.